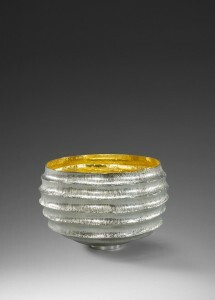 Contemporary British Silversmiths will be participating, for the first time, at Art In Action 2012, in Waterperry, Oxfordshire. Members will be exhibiting and demonstrating in a dedicated marquee and will be joined by London Assay Office which will be promoting the Queen’s Diamond Jubilee hallmark and undertaking an ‘Antiques Roadshow’ style evaluation for the public. Art in Action was founded on the simple principle that artists and craftsmen openly demonstrating and talking about their work fascinate the public. This concept runs parallel to the association’s own aspirations to raise the profile of silversmithing and attract new audiences. Central to the display will be the live creation a piece of bespoke silverware. The piece will be produced collaboratively by members of Contemporary British Silversmiths over the three-days of the event, to the 25,000 expected visitors. Contemporary British Silversmiths will also be exhibiting work from a selection of its members alongside demonstrations of traditional silversmithing techniques including blocking a bowl, raising silver, spoon forging, chasing, engraving and many more specialist techniques. 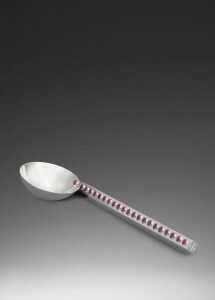 “That Contemporary British Silversmiths is taking such an active part at Art in Action is cause for celebration. It’s a great opportunity for all concerned. Our current exhibition at the V&A Museum, created to complement its major exhibition, British Design 1948-2012: Innovation in the Modern Age means we have had a very busy and productive year so far and we are living up to our aim of actively promoting this wonderful craft.” said past-chair Mary Ann Simmons. 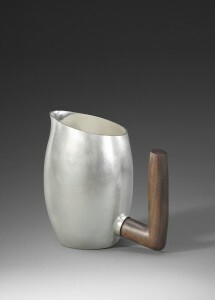 The V&A display, entitled Fit for Purpose: a practical and conceptual exploration of silver forms part of the Museum’s British Design Season and continues until the end of September 2012. Inspired by the simple principle that people are fascinated when artists and craftsmen openly demonstrate their skills and discuss their work, Art in Action was born. In 1977, 51 artists and musicians took part and 14,000 visitors arrived. Today Art in Action welcomes approximately 25,000 people over four days. Visitors come to learn, buy and enjoy, the exhibitions, classes and performances of 400 demonstrating artists, designer makers, teachers, musicians and performers. Disciplines include painting, sculpture, glass, woodwork, textiles, ceramics, metalwork and jewellery.